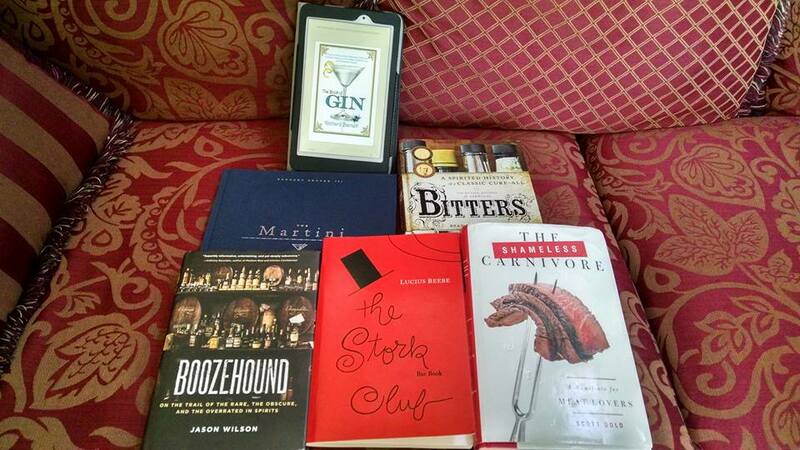 Book Essentials: The Martini Companion. 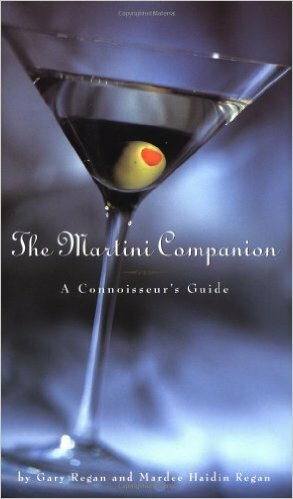 Book Review: The Martini Companion. Here begins a review of books that will appeal to both martini aficionados and vintage cocktail lovers alike. It’s best to begin with a book most practical:The Martini Companion (Regan/Regan, 1997, Running Press). Small enough to tuck under your arm or slip into a handbag, The Martini Companion answers the question: I want to make my own martinis. Now what? Despite its own declaration of “A connoisseur’s guide,” The Martini Companion will walk you through martini self-sufficiency from the first step, from glassware to garnishes, and the ever-present debate of shaken vs stirred. Lovely photographs by Steve Belkowitz grace each section, displaying a gorgeous selection of vintage glassware to fire even the most spartan imagination. Since vodka martinis are just as popular as gin martinis, this book divides evenly between the two liquors and then vermouth, covering history, basics on their creation, and a selection of brands to try. It is here, in the brand reviews, where The Martini Companion proves its worth. The history and production of each mentioned brand is thoroughly covered, before tasting notes and recommendations are given. If you are floundering on where to start with gin or vodka and vermouth, which brands are respected standards, or which taste personality might appeal to you, then this book can be a godsend without overwhelming you. The reviews are by no means comprehensive, but it’ll certainly get you on your feet and on your way to defining what kind of martini drinker you will be. It is after this point that this book will either outlive its usefulness, or carry on, depending on your personal tastes: the general martini recipe section. Since this book was penned in the late ’90s at the height of the x-tini cocktail boom, the authors give a (perhaps reluctant) nod to the many variations cropping up in bars worldwide. It is here that a classic martini enthusiast will flip through many eyebrow-raising variations (or corruptions) of the martini, from the La Serre Tequila Martini to a Skyy Diver Martini (made with peppermint schnapps). As vodka is a more neutral spirit for such wild experimentation, you’ll also note that the majority of these recipes are made with vodka, not the classic gin of the original martini recipe. Still, there are some variations that even I, vintage gin martini curmudgeon, would love to try, such as the the Gotham Martini from the Four Seasons Hotel in New York, whose beautiful accompanying photo displays the slightly darkened mix of vodka, blackberry brandy, black sambuca, and a blackberry garnish. I’d be most inclined to substitute gin for vodka… but still. The Martini Companion is available in hardcover for about $25 on Amazon, but I picked up a very good used copy from the Marketplace for less than $5. After two years with this book, I can say it’s well worth any price you find it for.